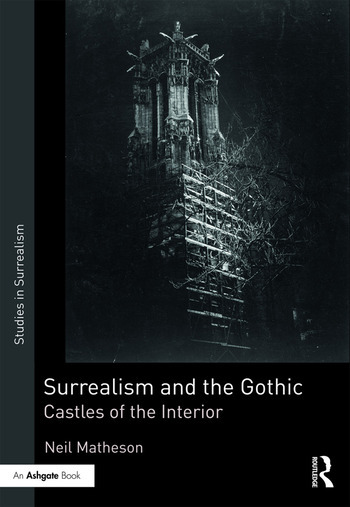 Surrealism and the Gothic is the first book-length analysis of the role played by the gothic in both the initial emergence of surrealism and at key moments in its subsequent development as an art and literary movement. The book argues the strong and sustained influence, not only of the classic gothic novel itself – Ann Radcliffe, Charles Maturin, Matthew Lewis, etc. – but also the determinative impact of closely related phenomena, as with the influence of mediumism, alchemy and magic. The book also traces the later development of the gothic novel, as with Bram Stoker’s Dracula, and its mutation into such works of popular fiction as the Fantômas series of Marcel Allain and Pierre Souvestre, enthusiastically taken up by writers such as Apollinaire and subsequently feeding into the development of surrealism. More broadly, the book considers a range of motifs strongly associated with gothic writing, as with insanity, incarceration and the ‘accursed outsider’, explored in relation to the personal experience and electroshock treatment of Antonin Artaud. A recurring motif of the analysis is that of the gothic castle, developed in the writings of André Breton, Artaud, Sade, Julien Gracq and other writers, as well as in the work of visual artists such as Magritte. Neil Matheson is Senior Lecturer in Theory and Criticism of Photography at the University of Westminster, publishing widely on surrealism, photography and contemporary art. Publications include The Sources of Surrealism (2006), joint-editorship of The Machine and the Ghost (2013) and recent essays on Magritte, Ithell Colquhoun and on spirit photography.